GeekBox News, Project, Firmware, etc. 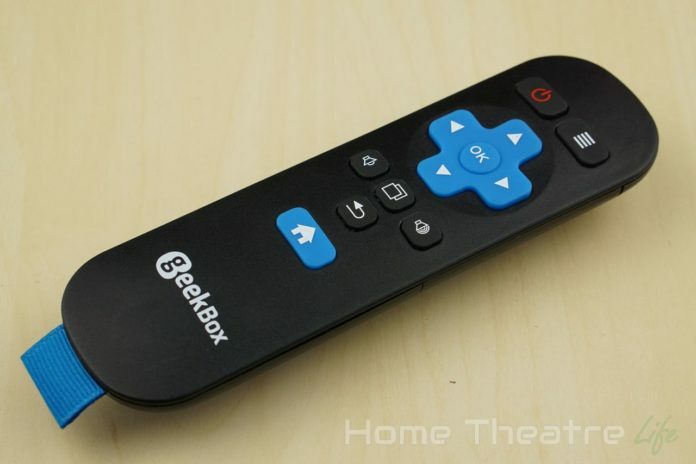 GeekBox.tv Forum • View topic - GeekBox Review: A Hacker’s Dream? 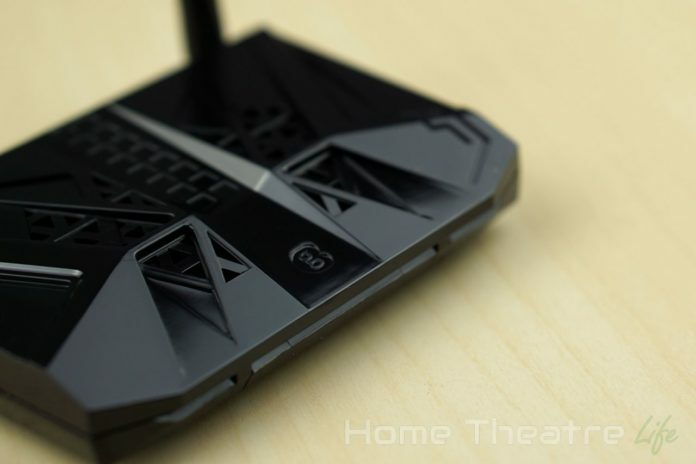 GeekBox Review: A Hacker’s Dream? 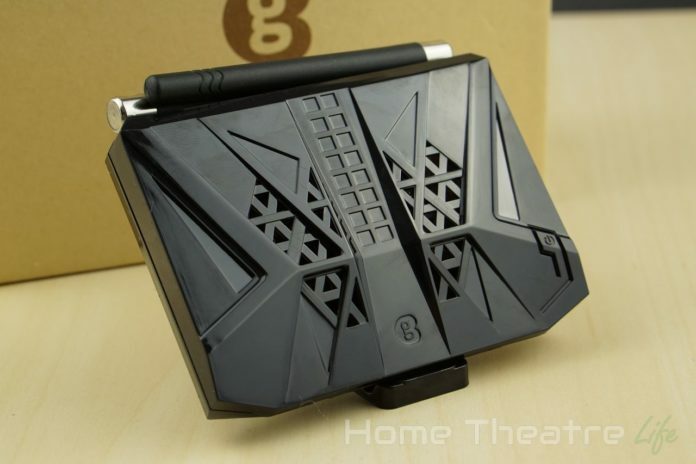 The GeekBox is GeekBuying’s first foray into the mini PC market. Powered by the octacore Rockchip RK3368 SoC, it’s capable of running Android and Linux out of the box. 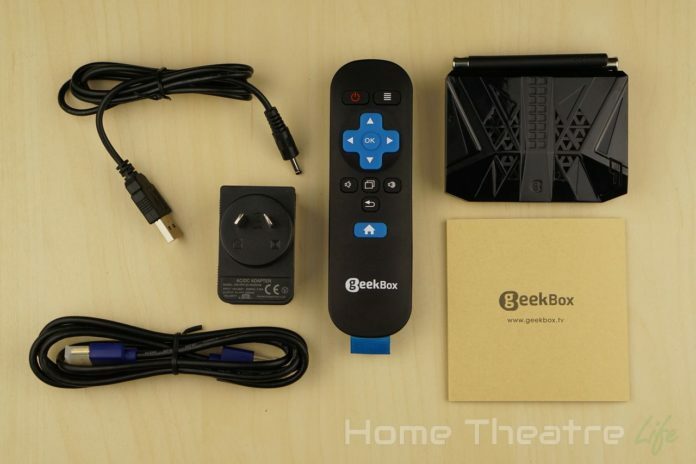 However, it’s more than your standard TV box, with a variety of additional interfaces and purchasable extras that allow you to use the GeekBox as a development platform. Open the case, remove the board and plug it into the $30 GeekBox landing strip. I want to say thanks to GeekBuying for providing me a GeekBox to review. For those of you who are wanting to take the GeekBox beyond a TV box, there’s a whole heap of additional accessories that can be purchased separately including a RTC battery, fan and the $30 landing strip. The box that the Geekbox is packaged in was pretty typically size for most Android boxes. So I was pretty surprised just how tiny the GeekBox is when I unboxed it. At just 90x69x21mm, it’s small enough to fit into the palm of your hand and far smaller than any other RK3368 device I’ve tested to date. 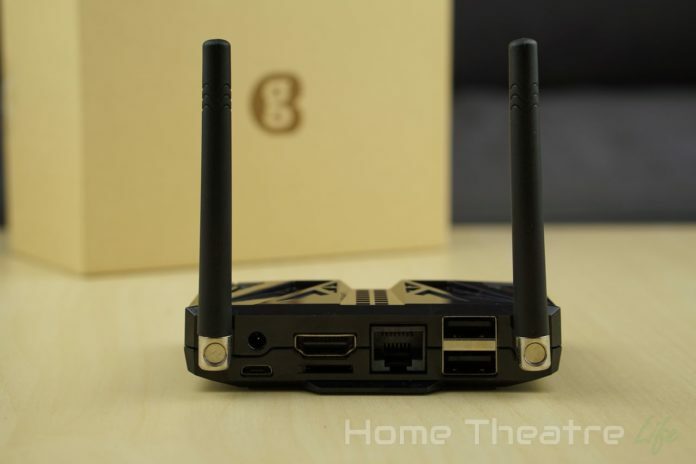 The Geekbox looks incredible and is probably the most distinct box I’ve seen since the Zidoo X1. It’s definitely military inspired (although marketing material claims its inspired by SUVs), with faceted surfaces, triangle vents and small details that really make it look unique. The whole case is made of a black translucent plastic that’s glossy but thankfully, the details help mask any fingerprints. All the ports are located on the rear of the GeekBox. From left to right, you have a wifi antenna, DC In, micro USB OTG, HDMI In, micro SD card slot, Ethernet, 2 fullsize USB 2.0 ports and a second Wifi antenna. The right side houses dedicated reset and update buttons. However, these are just plastic tabs that press the buttons directly on the board. A small power button is also located on the top of the unit. Part of the draw of the GeekBox is it’s ability to be used as a development platform by interfacing directly with the motherboard. 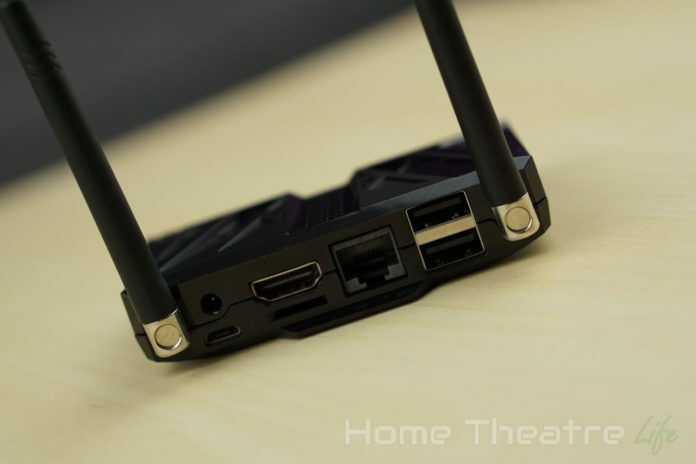 By removing the two wifi antennas, you can access the innards, including the MXM-III interface and expansion ports for additional components offered by GeekBuying such as a cooling fan. The included remote is almost identical to the one included on the Ugoos UT3S. There’s the basic Android functionality and navigation controls. Interestingly, there’s a button with the Android app switcher icon but pressing it triggered a mouse mode which was odd. The GeekBox powers up via the power button on the top of the unit. With a keyboard and mouse connected, a cold boot into Android takes around 24 seconds.I found that my keyboard and mouse wasn’t detected unless it was plugged in before boot, so make sure you keep it plugged in. I’ve reached out to GeekBuying to see if it’s a bug or just an incompatibility. Waking from standby is instant. Whilst waking the unit from standby using the remote worked fine, the unit can’t be turned off using the remote if fully powered off which is frustrating. 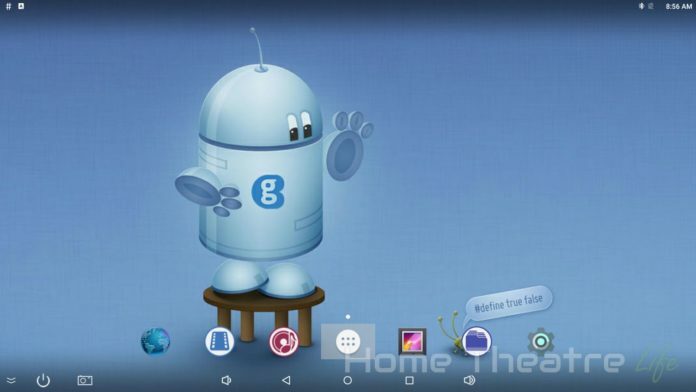 The GeekBox’s Android 5.1 ROM is essentially stock, aside from the cute GeekBuying branded wallpaper. The internal storage is split into two partitions of 1.91GB and 8.18GB respectively. The RK3368 processor handles Android really well, without any noticeable lag or slowdown during my review process. 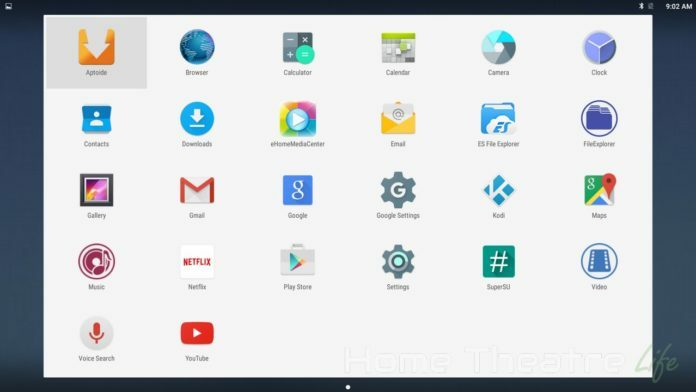 There’s a few pre-installed apps such as the Aptoide app store, Netflix, ES File Explorer and Kodi 15.2. It’s also rooted out of the box for those that need it. HDMI CEC worked fine with my Samsung TV after activating it in settings. A big draw of the GeekBox is the fact that it runs Linux. 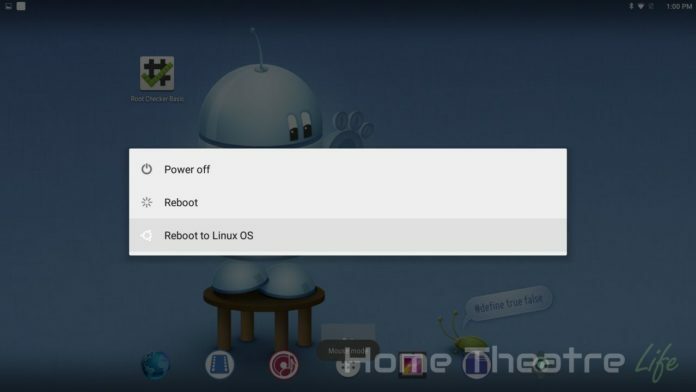 After holding down the power button for a few seconds, you’re able to select a “Reboot to Linux” option that will boot you into the pre-installed Linux distribution Lubuntu. There’s a few basic apps included such as Chromium for web browsing and an app to boot back into Android. However, with a lack of GPU support, web browsing and playing back media is painful. Trying to watch YouTube was agony, with laggy images and out-of-sync audio everywhere. That said, the actual OS felt snappy so it doesn’t seem to be an issue with the SoC but simply the lack of GPU support that’s holding back this element. If you’re looking for a Linux box, I’d suggest you look elsewhere at this stage. Given the lack of GPU support in Linux, media playback was tested under Android using the pre-installed Kodi 15.2. Media playback was generally good on the GeekBox. Unfortunately, the RK3368 still struggles with 4K video, with my 30fps sample showing minor stuttering during playback. Most common codecs played back fine however. Automatic framerate switching doesn’t work when enabled in Kodi which is disappointing. Deinterlacing performance was good, without any major artifacts. 5.1 passthrough via HDMI worked fine, although I did notice there was a delay of a few seconds before the audio started playing. I was able to start watching Netflix at 480p, however, the video stream would freeze after a few seconds whilst the audio continued to play in the background. I’m assuming this is just a bug and can be fixed in a firmware update. However, this will be a big issue for some users. I was able to connect up both my 2.5″ USB-powered HDD and USB thumbdrive and watch videos from them without any issues. Gaming performance on the GeekBox was pretty pleasant. The PowerVR G6110 was able to handle both Jetpack Joyride and Beach Buggy Racing at 1080p on maximum well. 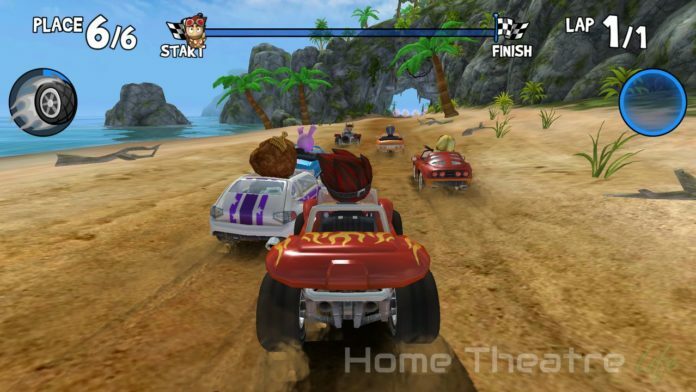 Beach Buggy Racing generally sat around 30fps, dipping below during high action situations. More demanding titles such as Riptide GP2 struggled at maximum but lowering graphical fidelity improved the situation. I was able to pair my iPega PG-9025 and use it to play Beach Buggy Racing without any issues. SixAxis Compatibility Checker reports that the GeekBox should be compatible. Wireless performance was generally excellent. On the 2.4GHz bands, average upload and download speeds were 58.9Mb/s and 29.7Mb/s respectively. Moving up to the less congested 5GHz band saw a dramatic increase in speeds, uploading at 103Mb/s and downloading at 123Mb/s. Real world performance tests were great, with no buffering experienced whilst streaming 1080p and 4K H.264 samples from an NFS share on my server. 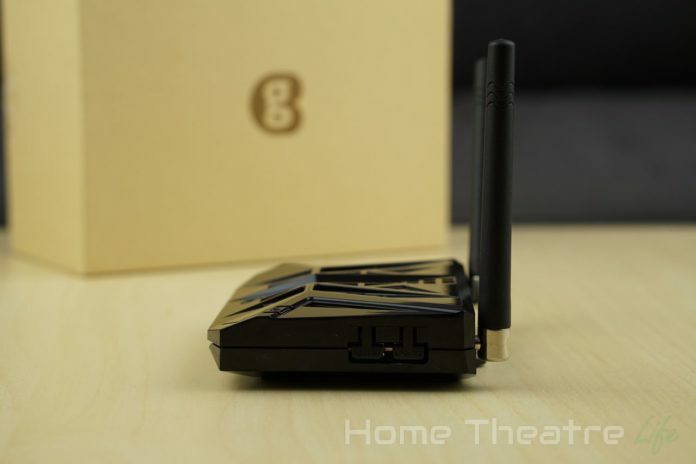 The GeekBox’s Gigabit ethernet connection was solid but didn’t achieve the theoretical maximum, with upload and download speeds of 622Mb/s and 221Mb/s respectively. The GeekBox is certainly an interesting device. As an Android TV box, it puts in a decent effort and handled media playback well, though Netflix issues and not being able to power the unit on via the remote is frustrating for TV use. Support for Linux and other OS’s such as LightBiz plus the ability to tweak the hardware via various accessories also makes it a tinkerer’s dream. However, it does come at a price premium. 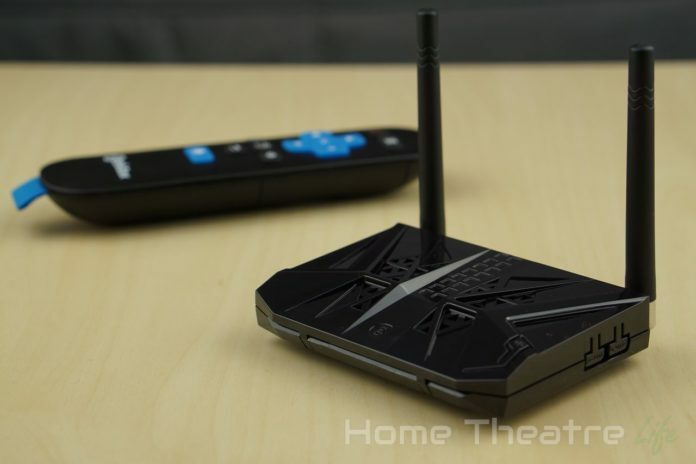 If you’re looking for a dedicated Android TV box, it’s probably worth investigating some of the dedicated options. However, if you’re the kind of person who loves to experiment and tinker, the GeekBox is well-worth the price of admission. The GeekBox (and associated accessories) are available from GeekBuying for around $120. Re: GeekBox Review: A Hacker’s Dream? That is a show stopper for me. IMO, the main advantage of this TV box vs others in this price range is dual-boot Linux. This is even more of a consideration since the new 64-bit Rockchip SoC RK3399 promises better performance than the RK3368. Geekbuying needs to prioritize better Linux GPU support if it wants to interest me in this product. I know that the Geekbox is due to add Android 6.0 soon to replace Android 5.1.1 but that is far less important to me than getting the Linux option to be more useful. BTW, the apps screen shows the Google Play icon. Can I assume that this does not actually link to Google Play Store but instead to the much less desirable AptoIDE store? Last edited by Gooplusplus on Sat Jan 23, 2016 2:34 pm, edited 1 time in total. Gooplusplus wrote: Thanks for the review. That is a show stopper for me. IMO, the main advantage of this TV box vs others in this price range is dual-boot Linux. This is even more of a consideration since the new 64-bit Rockchip SoC RK3899 promises better performance than the RK3868. It's the actual Google Play Store. There is now also VPU support in Linux Kodi, so video playback works in Linux but GPU support in Linux is still missing. 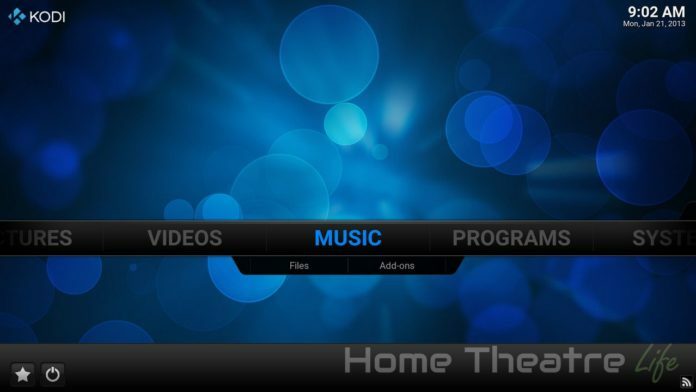 do not tell tales, playing movies or the android or under linux + kodi works perfect. Under linux not support gpu but this is not a defect. We have to work on it. As you can see is the difference between the first and second ubuntu. In the new ubuntu player in the browser work, not perfect but better niches in the first version. So simple request to have nothing to do with geekbox only linux. What we see already in linux Mplayer is no code to full play, procosor just overloaded 20%. You need to get it working for more commitment and more support codes are on github. Mplayer for RK is a need to adopt the go. geek boxing is for the people what will want to entertain at this game, not just a cry that something does not works. 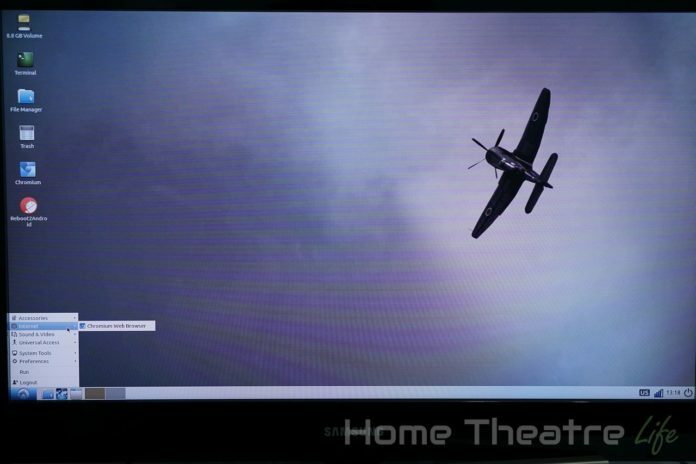 like a lot of fun with rk3188 it came to the smooth playback of full HD. It is not the fault of hardware software only, so you have a choice or android and nothing else.